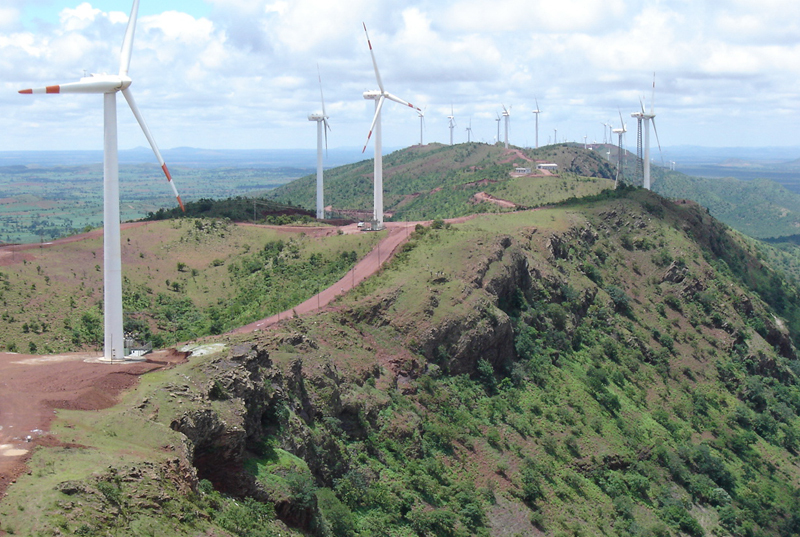 The Indian wind energy industry had undergone a major paradigm change with the first successful reverse auction yielding a price of just USD 5 cents/kWh. This is much lower than the tariffs given by major wind-rich states such as Gujarat, Rajasthan, MP and others that range in between $7 and $9 cents/kWh. This used to benefit the landowners, developers and wind turbine makers who would abnormally profit from the non-competitive wind energy farm development with Indian electricity consumers picking up the tab. But all this is history now, given that reverse auctions have revealed the true price of wind-powered electricity in the country. This marks a turning phase for wind sector with profits and margins of the turbine makers and developers now expected to come down sharply. States such as Gujarat and Andhra Pradesh have already announced that they will not pay the expensive Feed in Tariffs that they used to pay earlier, given that the reverse auction has shown a much lower price. It is now expected that all states will buy wind power through the reverse auction which is the norm for the solar energy sector anyway. The profiteering and the cartelization of the wind energy industry is a thing of the past. But before the auction, power regulators in Andhra Pradesh and Gujarat had set the tariff at Rs 4.84 per kWh and Rs 4.19 per kWh for 2016 and 2017 respectively. Now, neither of the states is willing to sign power purchase agreements (PPAs) at a tariff higher than Rs 3.46 per kWh which was the price discovered in the centrally conducted auction. Even existing wind farms which have been built in these states are facing trouble as they have not been able to sign the PPAs with state governments refusing to pay them higher power price. The developers who are crying hoarse that they built these farms on the basis of the FIT policy may use some of the abnormal profits made earlier to subsidise their “losses” in these farms in my view.